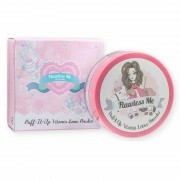 loose powder that provides skin care benefits with skin pampering ingredients. and regenerate skin texture so that you stay flawless, Flawless Me. Directions = Make sure to apply loose powder everyday to get your best flawless look.